Detective Pikachu isn't just shaping up to be the best live-action Pokémon movie – it has the potential to be the best video game movie, period. After some initial scepticism, it would appear that the Hollywood outing has won over critics and each new piece of information has been met with a positive response from fans. All of this translates into a promising box office opening, and Box Office Pro – a site dedicated to analysing and predicting how movies will do once they hit theatres – is expecting big things. It is suspected that Detective Pikachu could open with a '$75 to $90 million' haul on its first full weekend, with a potential $250 million gross in the US alone – that doesn't include the global market, which has the potential to be even bigger, given how popular the Pokémon brand is these days. Box Office Pro has been monitoring social media to see what kind of buzz the film is creating, and has reported that it has smashed the previous tracking record, with over 400,000 mentions on Twitter on the day its first trailer went live. Ironically, the involvement of Ryan Reynolds – something that annoyed a few fans – could end up enhancing the performance of the film. Reynolds might not have been your first choice to voice Pikachu, but he's a global star with wide-reaching appeal across all ages and genders, and his voice has already resulted in some memorable trailers. Finally, Box Office Pro notes that Detective Pikachu is opening in an advantageous window; by the time it hits screens, Avengers: Endgame will have been out for three weeks, while Disney's live-action Aladdin remake will still be a fortnight away. Do you think these predictions would come true, or could we have an upset on our hands? @ottospooky Well, they've drilled down pretty deep into the details so they're not just saying 'this will make money'. Analysts are present in all sectors of the business world - they also make calls on sporting events and other stuff. Not like it's making stuff up. In other news, analysts and forecasters are projecting a very high likelihood for tomorrow's sky to be verifiably blue. For real, though, it seems pretty obvious, even from the get go, that this movie is going to go crazy at the box office. Pokémon as a brand is too big of a juggernaut that even if the movie is bad, it will still make a profit. I have this at #5 on my 2019 box office sweepstake, so if you could all watch it three times that would be much appreciated, thanks. @ottospooky publicly traded companies rely upon analysis and prediction to adjust share prices. it’s notable how specific the numbers are. theyre not just saying “it will make a bazillion dollars”. Am I the only one that finds it weird that the Box Office Pro article compares Detective Pikachu to the first Pokémon movie? They say that since that movie did well before Pokémon was super popular that Detective Pikachu should do well, but wasn't Pokémon already submitted popular in the US by then? Will this be the best videogame movie to ever be made? Possibly because it's a simple premise and not some convoluted mess like Assassin's Creed. Here's how it was probably pitched "buddy cop with Pokemon" simple yet effective premise. Even if the plot stinks, it'll be a huge hit. The anime movies are a dime a dozen, and don't quite pull their weight like they used to, but this is something fresh. I'm sure a lot of folk outside of the target pokemon demographic will end up seeing this. I'm certain there will be a sequel, but whether or not this movie is objectively good will determine how big of a budget the next movie will have. You kind of lost me at Avengers Endgame. Why wouldn't it? It's pokemon. Since it won't be limited screening, and widley availible, it's gonna be so much more easy for parents to take their kids, leading to more cash in the bank. I’ve seen enough kids films over the years that I’m tired of the formulae buuuut I think I’m gonna go see it, it looks great. How come this film is getting positive feedback it doesn't make any since. Ironically, the involvement of Ryan Reynolds – something that annoyed a few fans – could end up enhancing the performance of the film. Ironically? I don't think fans' problem with Reynolds was that he would damage the film's chances of financial success. 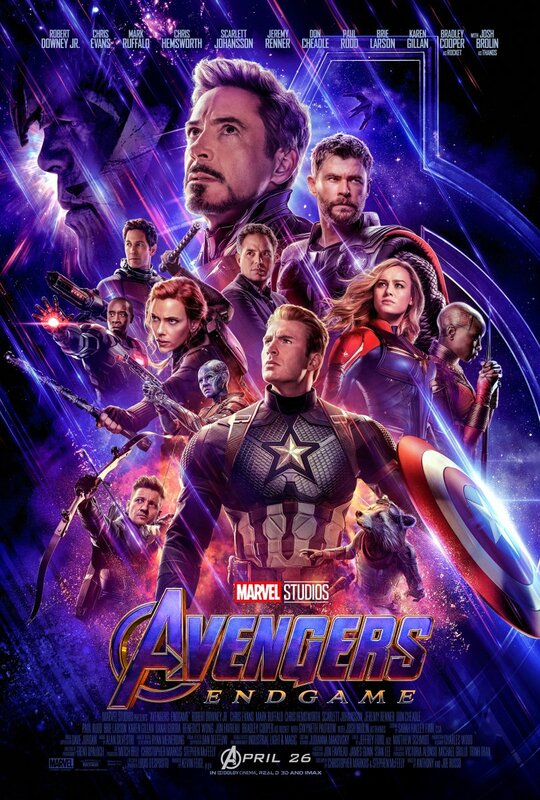 I feel like there's too many high expectations for this movie that it'll be a failure in the eyes of analysts no matter how well it performs in the box office. Before I saw the trailer, I thought the concept of a live action Pokemon movie would be ridiculous, but after seeing the trailer, I've changed my mind. Here's the thing, Hollywood...when making a movie based on source material, pay homage to the source material! That's exactly what they went for on this movie, and because of that, along with the performances of the actors and a good story, this movie has a great chance of breaking the video game movie curse. Fun fact but a lot of box office analysts use Wikipedia page views to help predict box office performance! "Ironically, the involvement of Ryan Reynolds could end up enhancing the performance of the film." - How is this ironic when studios hire popular actors only for the sake of boosting interest in a movie? The days when actors for voice over were hired based on their ability are long gone - celebrity voice overs are all the rage nowadays. @AlexSora89 Right. I think the Pokemon movie looks good, but I decided it looks rent good, not $15 movie ticket good. Now Endgame. I'd pay $35 for a ticket. Despite it being a movie based off of a video game, I'm fairly confident that it'll do well. Admittedly, I also find a Pikachu with Deadpool's voice interesting. It will do 1 billion worldwide. @ByteHero You know lion king isn't live action its all CGI so your still watching an animated movie Right just with amazing CGI animation skills to make each animal feel like its reel. its like saying pokemon is live action when the only live action is the people. I really don't have high hopes for this movie...at all. @LaytonPuzzle27 They're talking about feedback on the trailers and other promotional stuff. There have been test screenings and the response to them was overwhelmingly positive. ... in Euros. Which is a lot. Of course he would, I'm stunned he never did in the first place. Didn't the N64 Smash commercial teach him anything?! What do you mean they have enough mo--oh. There aren't a lot of series I go see in theatres. Mostly just the Marvel movies (though I did go see Star Wars 7 and 8 and will probably end up seeing 9 in theatres) I've often seen Pixar movies in theatres, but I haven't gone to the last few. But I'm totally going to see Detective Pikachu. Huge on Ryan Reynolds involvement. Plus those creepy assed lifelike pokemon are just insane to look at! It looks like it's basically going to be Deadpool with pokemon and I'm totally down for that!